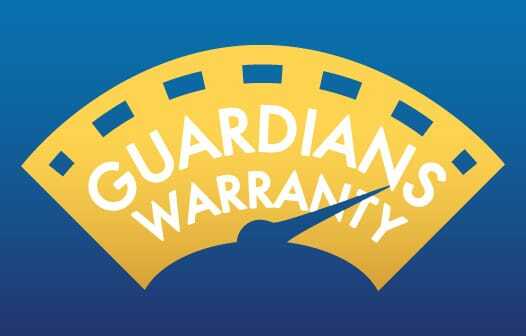 Ask a Member Relations Specialist about extended warranty protection for your next vehicle! 1Restrictions & limitations may apply. Please see contract for complete details. Guaranteed Asset Protection BuyersEdge (GAP with BuyersEdge) protects you against financial loss in the event your vehicle is damaged beyond repair (totaled) or stolen and never recovered. 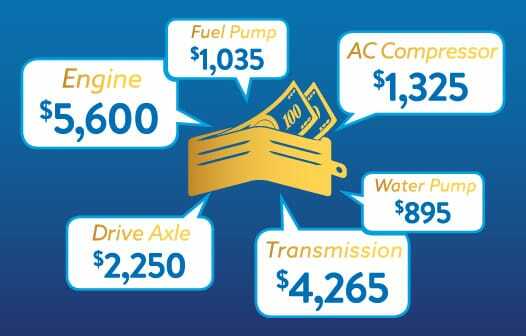 Ask a Member Relations Specialist about GAP for your next vehicle loan! Restrictions & limitations may apply. Please see contract for complete details. Included with your purchase of GAP insurance! Guardians CU offers members an ADR insurance that could cover out-of-pocket insurance deductibles when you have an accident or mishap with your vehicle. Pays up to $500 per loss (limit of two losses per year) when a claim is filed and paid with primary insurance carrier. Loss means an event for which the auto insurance company has approved and paid a claim which exceeds the covered auto deductible for a collision or comprehensive claim. Coverage is effective upon the date of enrollment and will continue for three years. If you suffer a loss during the coverage period which is covered by your auto policy, you may be entitled to reimbursement of the covered auto deductible. Reimbursement will be equal to the covered auto deductible on the auto policy, up to $500 per loss. Ask a Member Relations Specialist about ADR for your next vehicle loan! Sometimes taking out a loan can be a financial gamble. Help play it safe! Thinking about taking out a loan to make home improvements or buy a vehicle? It can be a financial gamble because life happens. You're betting you can pay back your loan and you won't lose your job (due to no fault of your own), or become disabled (due to injury or illness), or pass away—leaving your family responsible for your loan balance. Payment Assurance™ is a voluntary loan-payment protection product that helps preserve your family's standard of living and gives you relief from financial burdens if a protected life event such as disability, loss of life, or involuntary employment happens to you. Ask us about protecting your loans today! Your purchase of Payment Assurance is optional and will not affect your application for credit or the terms of any credit agreement required to obtain a loan. Certain eligibility requirements, conditions and exclusions may apply. Please contact your loan representative, or refer to the Member Agreement for a full explanation of the terms of Payment Assurance™. Guardians CU offers a variety of hassle-free ways to keep up with your loan payments! Payroll Deduction takes an allotted amount of your paycheck and applies it electronically toward your balance. Similarly, Automatic Transfers allow you to designate a periodic transfer of funds from one of your credit union accounts directly to your loan payment. Both of these services are easy to establish and can simplify your monthly bill-keeping. You also can use CUSERVE or CU Online to transfer funds from your savings or checking account to make your loan payment. Lastly, we also offer an online payment center that allows you to make a payment from any other financial institution account. A small processing fee applies for this option. Not sure which option is best for you? Ask your Member Relations Specialist for more details. Guard your financial future by attending free KnowMore Seminars. Discover credit union member discounts available to all members. Build confidence in your retirement and financial planning. © 2011–2019 Guardians Credit Union. All rights reserved. If you are using a screen reader and are having problems using this website, please call 561-686-4006 for assistance.